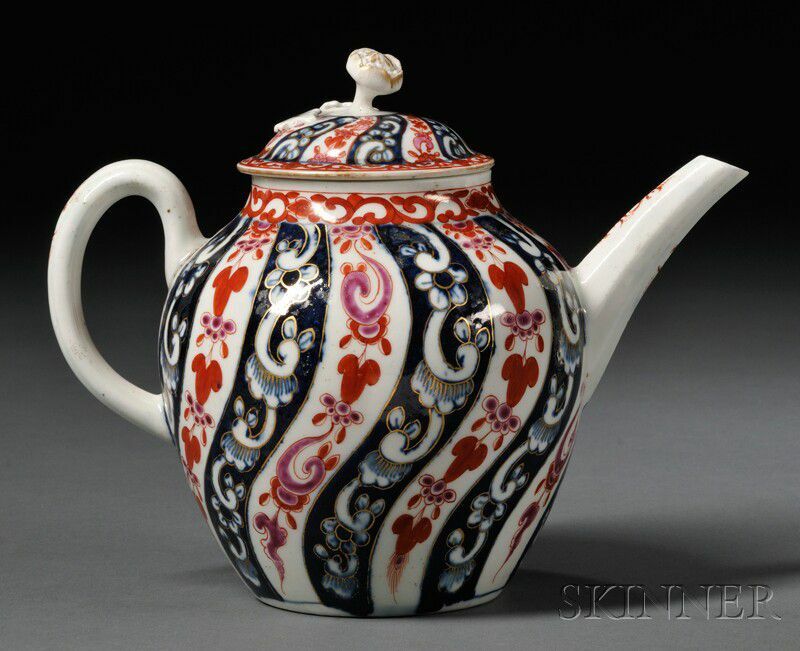 Worcester Queen Charlotte Pattern Teapot and Cover, England, c. 1770, globular shape with gilt trim to alternating whorl bands of flowers and foliage, painted square mark, lg. 8 in. 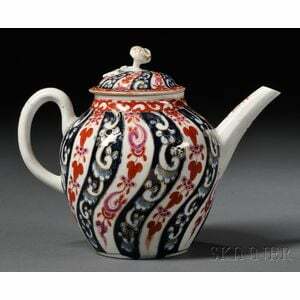 Pot: 3" curling hairline above handle and along shoulder.